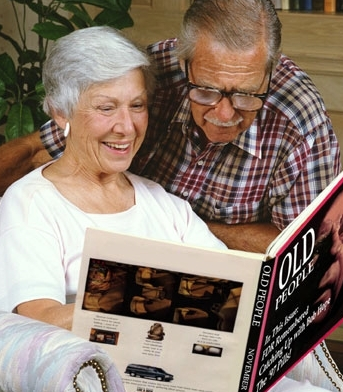 We did a really fun club based on things old people do. No offense if you are old or enjoy these old people things. Kids dressed up old and we had a great time. The wheelchair races were on the edge of chaos. Be careful! This seriously cracks me up! We tried having an “OLD MEN” walk-on last year. And none of the kids laughed, but all us leaders did. 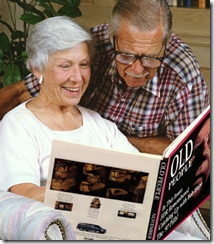 I love the Old People club Idea. I want to use this idea! We actually did this club in a small club in rural Virginia this Fall! It was seriously EPIC! The funniest club we have ever done hands down. Of course we had those kids who were like “heck no am I dressing like an old person” but a lot of kids got SO into it! If you have leaders who LOVE doing run-ons you are set up well for some hilarious old people ones! Definitely a winner! Ah, Wheel Chair races. We did that one year when I was a youth director. It was a Sunday. The course went outside (it had recently rained) and then back into the fellowship hall. When we got done racing, I looked at the carpet and there were black streaks everywhere. That Tuesday was a national election and unbenounsed to me they had just cleaned the carpets for all the people who would be showing up to vote. I got in so much trouble. We did Old Life Club a few weeks ago. Big success. 1/2 the kids got really into it and the other half we just dumped baby powder in their hair when they got there. Matthew, glad it went over great! Love the baby powder twist, great idea!